Christmas and New Year often equal one thing for many of us - a party... or two. The Christmas Work Do, The Christmas Eve Drinks With Friends, The Festive Family Party, The New Year's Eve Celebration (speaking of, Happy New Year folks!)... They all mean we have a bit too much to eat, maybe a bit too much to drink and definitely not enough sleep! If you've generally run yourself down over this festive season or if you're currently in post-recovery mode after last night, today I'm sharing some post party products that are perfect to relax, revive and re-hydrate. I stayed in with my other half and some friends at their house last night, but we still dressed up, played some games and had a bit of a New Year boogie, though I was designated driver and so was fully sober when we went to bed at 3am! So although I'm not hungover this morning, I'll still be making the most of an unplanned day and having a pamper! For me, the journey to relaxation always starts with a bath. The Yves Rocher Fizzy Bath Cube in Coconut* is a nice, simple change from all the colourful and glittery bath products around. The bath clouds up with a subtle, sweet coconut scent that isn't too offensive on the nose if you're feeling a bit delicate. However if I did want something brighter and stronger, I'd definitely go for Lush The Comforter Bubble Bar, which turns the bath a pretty pink and has a gorgeous scent of blackcurrant and bergamot. After a late night, especially if alcohol has been involved, I tend to feel and look so dehydrated that I desperately need to inject the moisture back into body. Along with some seriously big glugs of water, while chilling in the bath I can work on reviving both my hair and face and my top picks for this are two gorgeous masks; the Macadamia Deep Repair Masque and the Antipodes Aura Manuka Honey Mask. The Macadamia Deep Repair Masque has a such a luxuriously thick and almost mousse-y texture, which sorts out my lacklustre hair in minutes and leaves it looking and smelling like I've been to the salon. The Antipodes Aura Manuka Honey Mask is a must have and I need to buy another pronto; this honey based formula is super creamy and the honey not only nourishes the skin but its antibacterial properties means it works a treat on blemishes too. If you've been on your feet a lot, especially in your dancing shoes, then your feet and legs are bound to feel tired and heavy. For this I recommend the Yves Rocher Anti-Fatigue Iced Gel*, which contains organic Lavender Essential Oil and Peppermint Oil. This is more of a quick, short term fix, but when I massage the gel in an upward motion, the cooling sensation is soothing and refreshing and really feels like it's getting down into those aching muscles. Back to hydration now and something for the body - the Yves Rocher Organic Oats Silky Cream* is just gorgeous all round! I adore the oaty scent and the creamy formula, which has a consistency that I can only compare to yoghurt - it's neither too thin or too thick with an almost whipped feel. It absorbs quickly but leaves my skin super soft. I'll also pop on some of the GLAMGLOW BRIGHTMUD Eye Treatment under my eyes, which contains ingredients like Caffeine and Peppermint Leaf to fight the signs of tired eyes in just 3 minutes. It seriously injects some life back into my eyes - it de-puffs, brightens and plumps at the same time! I can see why it was initially designed for models and Hollywood actors! 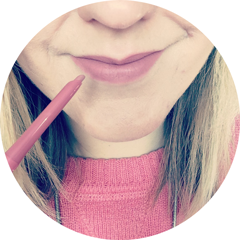 To finish, I'll exfoliate my lips with the Lush Mint Julips Lip Scrub - lip balm just doesn't seem to be enough at this time of year, especially if I've been heavy on the lip liner and lippie! You hardly need any of this sugar based scrub to buff dryness away from the lips and it's the perfect prep for the L'Occitane Ultra Rich Lip Balm. This contains Shea Butter to nourish and soften and is a great option if you're looking for a more intensive lip balm in stick form. The last of my post party products is an essential any day of the week, but no pamper would be right without a hand cream. The Yves Rocher Long Lasting Moisturising Hand Cream* is a great pick because it does exactly what it says on the tube! After all this, what could be better than chilling on the sofa and watching a film! I'll be staying makeup free today, tying up my hair in a scruffy bun and rocking my Marvel pyjamas! I hope you all had a wonderful New Year - what did you get up to? 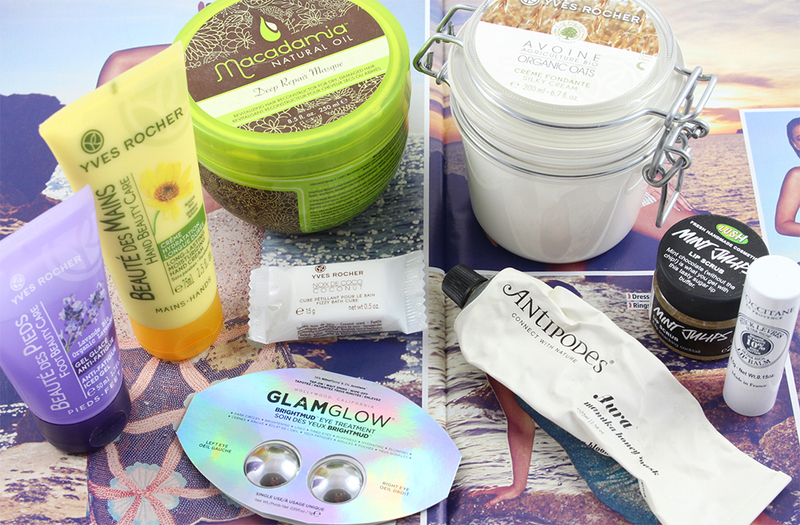 Will you be having a post party pamper and if so, what are your product picks? P.S. This post contains PR samples. This does not affect my opinion of the products. I have the Lush Lip Scrub in the Bubblegum flavour and it's amazing when you've got really chapped lips!! 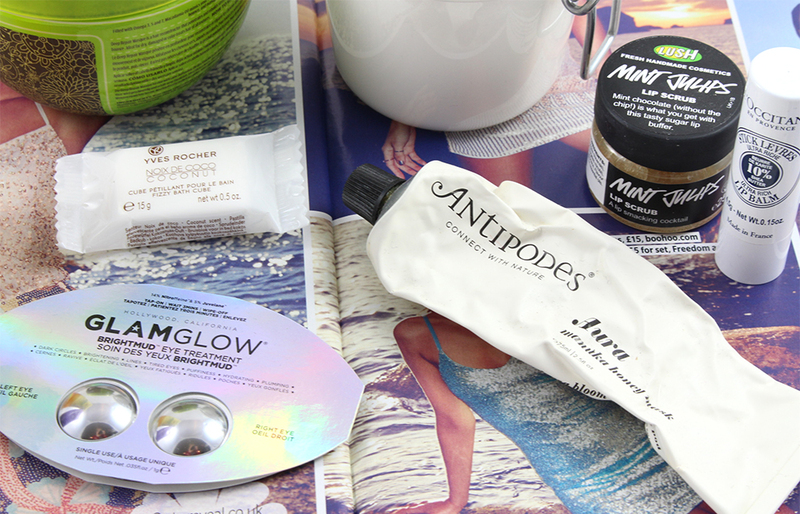 The Antipodes mask is one of my faves - love it so much! You have so many wonderful products! I love winding down with items like this, that coconut bath cube sounds amazing! This is the perfect post for the post Christmas/New Year period; I think we're all in need of a bit of TLC, beauty-wise! I adore GlamGlow face masks, but I haven't tried their eye masks, so I'll definitely be putting those on my 'to-buy' list. I haven't tried anything from Yves Rocher either, but their products sound gorgeous and just what you need for a good, pamper sesh!